If there is one nail polish I absolutely needed to get from Nars' Night Series, it was without a doubt Night Porter. Dark green shimmers have always been my favorite greens and this one definitely made it straight to my top 5. Night Porter is extremely rich and complex, packed with all sorts of gold and green shimmer particles. It kind of reminds me of Zoya Veruschka or OPI Here Today ... Aragon Tomorrow Suede with topcoat. I'm sure you know how amazing these mattes can be with a glossy finish... In other words, Night Porter is just utterly gorgeous and if that's not enough to convince you, formula couldn't be any better : it's a one coater! Night Porter is a true beauty and I don't regret my purchase one bit. I also got Night Breed and I'll be posting it very soon. Did you get any of these? Oh DAMN that's beautiful. I love dark greens! Wow, I love all the shimmer in this one, it looks gorgeous!! Love it!!! Very classy, dark and complex indeed with all those amazing shimmers in there. But still lookes very fresh and "foresty", totally suitable for the fall mood I'm in right now, in spite of being 27 degrees today here in Holland (gotta love that Indian Summer). And what did you say? ONE COAT??? Are you serious? So glad I ordered this one, otherwise mayor lemming alert here. I love OPI Jasper Jade but sadly the formula is quit sheer and needs 3, almost 4 coats to get completely opaque, which is a mayor let down for me. I can deal with 3 coats if the polish is utterly amazing, I accept 2 coats to be normal for any polish, but one coaters always get a special place in my nail polish addicted heart. And in my stash, of course!!! One last thing, if it compares to OPI Here Today ... Aragon Tomorrow Suede, I'm really curious how it would look matte, as in with Chanel Velvet? Great post Sam, as always, and amazing pics, this is my absolute favorite way to start the day. Thanx for sharing. I'm not gonna get it, because it's too expensive for me, but it does look gorgeous. oh my god! 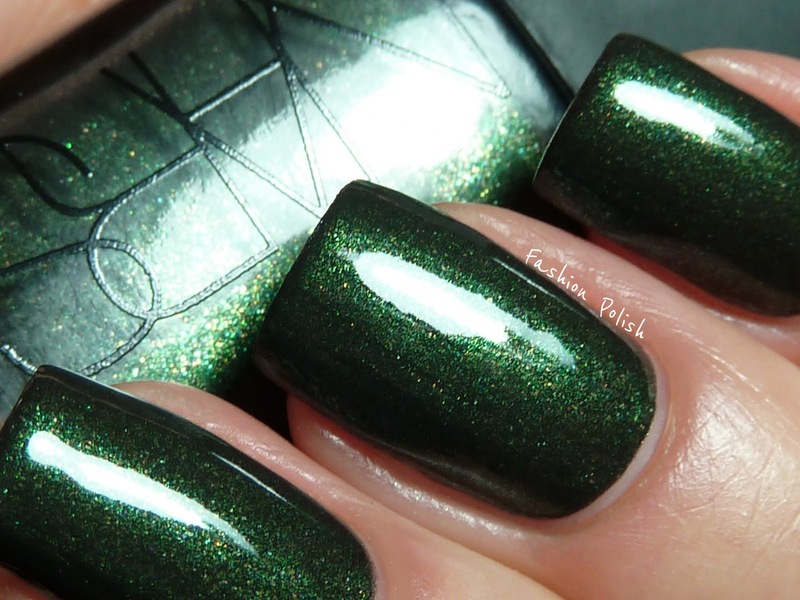 I'm starting loving green polish more and more and this one is so deep and beautiful! I got Night Porter! I'm a sucker for dark greens/teals. It looks way darker than Zoya though at least on my swatch it did. But oh so gorgeous!! I got mine at Beauty.com...I was so tickled they had it right away, it's where I get most of my high-end polishes. Oh you are killing me with this swatch! I said I don't need another green-that Nars is too expensive and you go and show me this gorgeousness!! Now I have to rethink my whole game plan!! Gorgeous! I didn't want it until I saw these pics. Swoons! I love this polish. Got Night flight as well! Truly gorgeous, I love it! Very "foresty" love those kind of polishes, a combo of green and gold is magic!